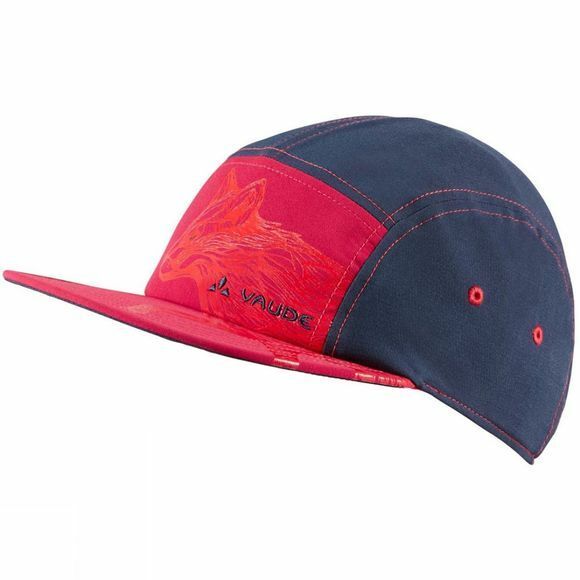 The Boys Tammar Baseball Cap from Vaude provides sun protection for sly foxes: casual baseball cap with a functional inner sweatband, ventilation eyelets, and a comfortable fit thanks to stretch materials. This product is made with Eco Finish, an eco-friendly, fluorocarbon-free, water repellent finish (PFC-free). The Vaude Green Shape label stands for environmentally friendly, functional products made from sustainable materials.